[*H1341] The SPEAKER pro tempore. Under a previous order of the House, the gentlewoman from Maryland [Mrs. Bentley] is recognized for 60 minutes. MRS. BENTLEY. Madam Speaker, I am pleased that the distinguished gentleman from Illinois, Congressman Philip Crane, suggested that we use this special order today to discuss a very heroic and courageous man, Gen. Draza Mihailovich. Today's special order is a very timely one, Madam Speaker. Today marks the 42d anniversary of General Mihailovich being posthumously awarded the Legion of Merit Award by President Harry Truman. And 2 days ago, on the 27th of March, we commemorated what would have been General Mihailovich's 97th birthday. Unfortunately, however, most of our Nation's citizens do not even know who this brave freedom fighter for democracy was. 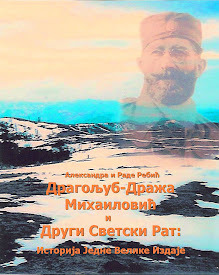 Perhaps more telling than anything else about General Mihailovich is the fact that he was the bitter enemy of both the Nazi occupiers of Yugoslavia during World War II and the dictatorial Communist government of Broz Tito who ruled Yugoslavia after the war. 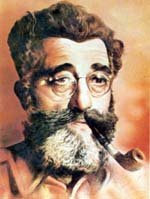 It was Tito's government that was eventually responsible for the mock trial in a kangaroo court that culminated in the execution of General Mihailovich. What better day is there than this one to remember why President Truman posthumously awarded the Legion of Merit Award to General Mihailovich? While World War II was raging in central Europe, over 500 American airmen were shot down behind enemy lines in Nazi-occupied Yugoslavia. 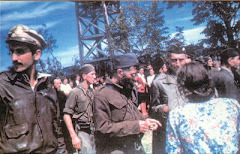 These men were rescued, protected, and returned to safety by the freedom-fighting Chetnik forces under the command of Draza Mihailovich, whose forces fought first against the Nazi occupiers and then against the Communist forces that held sway over Yugoslavia. I would like to quote from a letter sent to me recently from Maj. Richard L. Felman, U.S. Air Force, retired. Major Felman was one of these American airmen whose life was saved by General Mihailovich. Major Felman includes in his letter a public thank you to General Mihailovich, saying, "Thank you, General Mihailovich, for saving the lives of over 500 of our boys while they were serving in the defense of our country. No one else has ever done that and we as a people and a nation are mighty grateful!" Mr. Speaker, Major Felman is indeed correct in stating that no one has done so courageous a deed for American soldiers behind enemy lines as Gen. Draza Mihailovich. When President Truman awarded General Mihailovich the Legion of Merit Award on March 29, 1948, the brave general was already dead. Mr. Speaker, we have only recently been able to officially confirm this high honor bestowed upon the general. This information became available after the records in the National Archives were opened to the public 40 years after the end of World War II. 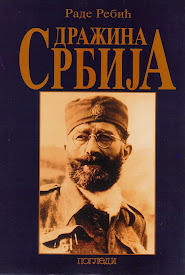 Here is a copy of the award on the front cover of a Serbian publication "Pogledi." 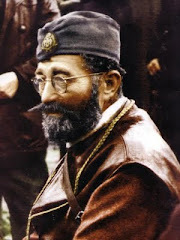 General Dragoljub Mihailovich distinguished himself in an outstanding manner as Commander-in-Chief of the Yugoslavian Army Forces and later as Minister of War by organizing and leading important resistance forces against the enemy which occupied Yugoslavia, from December 1941 to December 1944. Through the undaunted efforts of his troops, many United States airmen were rescued and returned safely to friendly control. General Mihailovich and his forces, although lacking adequate supplies, and flighting under extreme hardships, contributed materially to the Allied cause, and were instrumental in obtaining a final Allied Victory. General Mihailovich was tried and executed by Communist authorities on the grounds that he collaborated with the Nazis during the war. The American airmen who were under the general's protection knew that this was a patent lie, and had the evidence to disprove it. 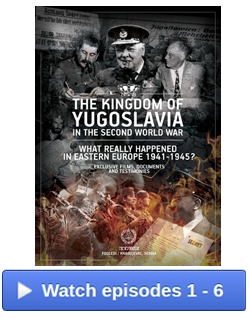 Not only did the Yugoslav Communist government refuse the American airmen permission to come testify, but they also disallowed any use of their written testimony altogether. Over 600 pages of sworn testimony by American airmen were presented by our State Department to the general's legal counsel, and thrown out at his trial. Mr. Speaker, a great injustice has been done against the name of Draza Mihailovich. 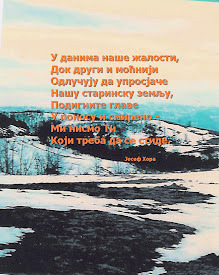 But time has proved what our boys, shot down in Nazi-occupied Yugoslavia, knew all along. 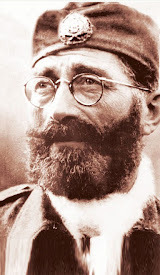 General Mihailovich was both a Yugoslav patriot and freedom fighter, not the traitor that the Communists executed him as. [*H1342] I urge all Members of Congress to join me in commemorating the life of Gen. Draza Mihailovich on this very special anniversary. Madam Speaker, I yield to the gentleman from Illinois, [Mr. Crane]. MR. CRANE. I thank the gentlewoman for yielding, and I commend her for taking this special order on this important occasion. 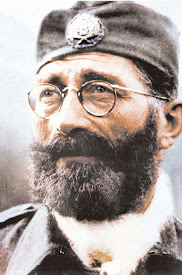 "General Dragoljub Mihailovich distinguished himself in an outstanding manner as Commander-in-Chief of the Yugoslavian Army Forces and later as Minister of War by organizing and leading important resistance forces against the enemy which occupied Yugoslavia, from December 1941 to December 1944. Through the undaunted efforts of his troops, many United States airmen were rescued and returned safely to friendly control. General Mihailovich and his forces, although lacking adequate supplies, and fighting under extreme hardships, contributed materially to the Allied cause, and were instrumental in obtaining a final Allied Victory." Madam Speaker, I would only pause for a moment on this point, having read that citation from President Truman, and, as I say, upon the recommendation of General Eisenhower, to say that our State Department to this day continues to parrot the falsehood that there is not documentation to support the award that was made by President Truman upon the recommendation of General Eisenhower, and since the Soviets have come clean about the Katyn massacre, I think it is about time our State Department comes clean on this issue. 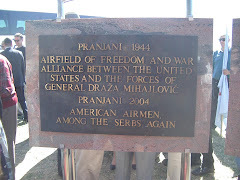 Madam Speaker, the reason for our tribute to General Mihailovich is first and foremost our gratitude to him and the Serbian people for saving the lives of over 500 American airmen. Despite having been betrayed by the Western Allies as a result of a misinformation campaign spearheaded by the Soviet Union, General Mihailovich orchestrated the rescue of those very same men whose governments had turned their backs on him. At the end of the war, the Committee of American Airmen Rescued by General Mihailovich was established for the purpose of erecting a monument to the general, in Washington, DC, or its environs, in recognition of the role he played in saving the lives of the 500 American airmen. The committee of airmen will finance the project in its entirety, including construction and any subsequent maintenance costs. In 1974, the airmen petitioned Congress for permission to erect the monument on public land. Legislation to this end has been introduced in every session of Congress since. I have been the chief sponsor since 1984. 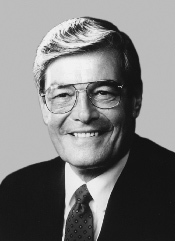 In the past, the legislation has had as many as 90 cosponsors in the House. Hearings have been held on it, and twice it has been passed in the Senate by voice vote. 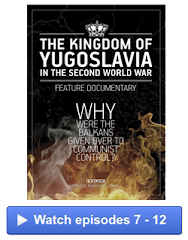 Although it has the support of such organizations as the AFL-CIO, the American Legion, and the Air Force Association, the debate over how it will be received by the Yugoslav communist government has been a major stumbling block. 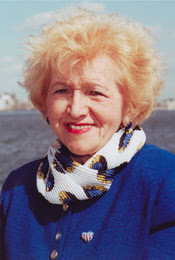 The purpose of this ongoing legislative effort is not so much to make amends for a great historical injustice, or to clear General Mihailovich's name, but more simply, to provide retired American servicemen with the opportunity to recognize someone who sacrificed his life to save theirs. After 45 years of delays and inaction, the least we can do is provide these remaining rescued airmen with an adequate means to express their appreciation.